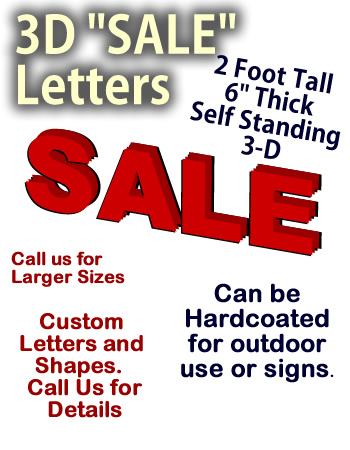 24 Inch Foam "SALE" Letters - Dino Rentos Studios, INC.
24" tall by 6" thick self-standing "SALE" letters. Great for retail displays and window decorations. Upgrade to Super Gloss Coating for a glossy look. Call us for other sizes and colors.